Special thanks to Jonathan Sukenik for his contributions to today's article. Grixis Delver has been hailed as the boogeyman of Legacy and been a primary driver of the recent calls to ban Deathrite Shaman. Whether or not you agree that it's the best deck in the format, it's clear that Grixis Delver is here to stay. Boasting a nearly 17% metagame share by some metrics, knowing how to navigate the matchup is essential to success in the current state of Legacy. The Epic Storm and Grixis Delver matchup is incredibly interesting with a lot of unique dynamics, and we've brought Jonathan Sukenik to the table to explain his view on the matchup and its many intricacies. New and seasoned players alike should be able to learn a lot from Jonathan's detailed feedback on how he approaches The Epic Storm from the side of Grixis Delver. 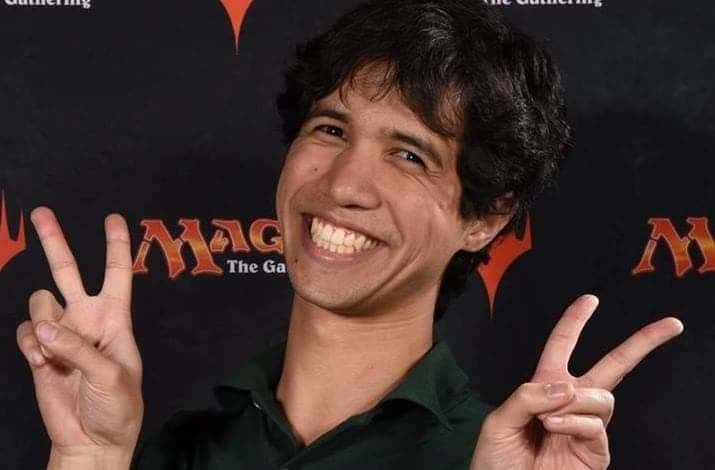 I am a Silver Level Pro, self-proclaimed Top 20 Grixis Delver players in the World, and have been playing Magic for 19 years. While I have streamed and written for StarCityGames in the past, I prioritize having fun, improving, and focusing on trying to achieve Gold status or higher. My goal in Magic is to be someone that people look up to, both in terms of character and quality of play. 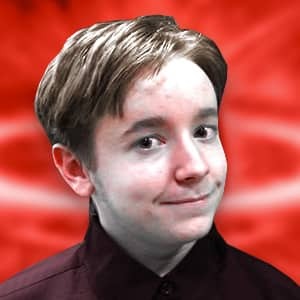 When I’m not playing Magic, I can be found playing games and chilling with my closest friends (the Sukenik School of Crushing), working a full-time job as a Splunk Guru, telling terrible jokes, and buying Anime/Video game TCGs and accessories. I am an extremely sentimental person, and love helping people who want to be helped. And yes, I will sign your Watchwolfs. Priority number one is establishing a clock. Similar to playing against Splinter Twin when it was in Modern, you lose points by being shields up for too long and gain a lot of percentage points by “making them have it” so early. This is helped by the fact that Delver can “represent” interaction against TES while tapping out. As an example, if I cast a Gitaxian Probe and see that they are on TES, barring a hand with a ton of cantrips, I will play Delver of Secrets over Deathrite Shaman and may potentially Brainstorm on upkeep to flip it, while I believe the hive mind says to “always” play Deathrite Shaman on turn one. Slight caveat: against ANT, if I know they will cantrip on turn one, I am more okay with turn one Deathrite Shaman with the plan of turn two, exile the cantrip and play Delver of Secrets to help make Cabal Ritual bad. Other than a protected kill on turn one, what is the scariest thing that The Epic Storm can do in game one, and how do you try to mitigate that? The small Empty the Warrens and an early Infernal Tutor/Burning Wish are both tough situations. The small Empty the Warrens forces Delver of Secrets to flip, and can make threats like Young Pyromancer and Gurmag Angler bad. Also, if you are able to play the main deck Empty the Warrens for 6-8 Goblins and still have resources in your hand (e.g. just playing a Lotus Petal, Lion's Eye Diamond, a Dark Ritual, and an Empty the Warrens such that you only spent the Dark Ritual and Empty the Warrens as cards (so this is turn 2)), you gain a ton of time to build up resources, find discards spells, and protect the kill a few turns from now. The amount of hands Delver can have to really break through 8 Goblins on turn 2 or 3 all involve multiple Deathrite Shamans/Flipped Delver of Secrets or Young Pyromancer (which still needs time to get going). True-Name Nemesis should be too slow, but can pair with Deathrite Shaman sometimes to help stave off the Goblins. However, that could potentially mean True-Name Nemesis not attacking. The Delver player is deterministically dead, and I, as the Delver Player, will spend the next turn trying to set up Ponders/Brainstorms to be able to have interaction on the top of my deck that I can Brainstorm into with the counters in my hand. Otherwise, I am just going to assume the Infernal Tutor was a bait spell and just play to try to close out the game as soon as possible, just in case mana sources or having a win condition are the limiting resources (something has to be missing if the TES player cast Infernal Tutor for a Discard Spell and doesn’t have it rolled up). This means that the Delver player’s soft permission (like Daze and Spell Pierce) is turned off most likely. Also, there is a higher chance the TES player is trying to go for it, so I will spend the turn after this type of Infernal Tutor burning through cantrips to try to find Force of Will. This will either get a Discard Spell or a win condition. Both interact very well against Force of Will. I will do almost anything to counter a Burning Wish at any point in the game. Don’t forget, as a TES player, that you can clear your Brainstorm with Infernal Tutors which allow you to shuffle your deck. Do you think that game one generally gets better or worse for you as the game goes longer? This one really depends on how the game is going longer. If the game is going longer because the Delver player does not have much of a clock, that is definitely TES favored. The TES player can just wait for a discard spell or two and enough mana sources to make Force of Will the only card that matters. If the game is going longer because the TES player is not playing cantrips and can’t sculpt their hand or because they tried to go off and failed, then I would consider that Delver favored. Stifle, Spell Pierce, and Cabal Therapy often fight for the same main deck slots. Which one do you think is best against The EPIC Storm? Why? This is a difficult question for me, mostly because I believe that Spell Pierce is the only playable main deck card of the three. However, if the tournament was all TES opponents, I would play main deck Cabal Therapy. Being able to take the payoff cards and/or Lion's Eye Diamonds is backbreaking. It is also very proactive, which can prevent the TES player to try to go off with protection. There are plenty of times where I can Gitaxian Probe a TES player and just hope they play into my counters in a certain way, and Cabal Therapy can just snag the cards that you hoped to counter. What hands are you looking to keep/mulligan for post-board now that you know what your opponent is playing? How aggressively do you mulligan for a counterspell? Perhaps the weakest part of my Delver game is my unwillingness to mulligan, even if it is a matchup that warrants looking for a specific subset of spells. Does it have a 1-drop creature? I will keep. Does it have a Brainstorm or two of Gitaxian Probe/Ponder? I will keep. Does it have Gitaxian Probe + Cabal Therapy? I will keep. Is your plan for the matchup any different post-board? I am aware that my deck got to trade out duds for slam-dunks in this matchup, but it doesn’t change the fact that I am terrified of early Empty the Warrens (which I believe that TES players should board up on). I will do my best to set up board states and counter rituals to just try to prevent an Empty the Warrens from happening. I will burn through cantrips earlier to try to find Cabal Therapy. Pyroblast is not very good in this matchup, but it is necessary for the Delver player’s Cabal Therapys to be much better. Out of the popular sweepers ((Izzet Staticaster, Marsh Casualties, Toxic Deluge, etc. ), which do you think is best in general? How does it align against TES? Marsh Casualties is the best of the sweepers in general. You can bring it in the mirror, whereas I wouldn’t bring in Izzet Staticaster and can kill Deathrite Shamans on a good day. However, against exactly TES (and any other Empty the Warrens deck), I would want Izzet Staticaster as it is blue for Force of Will and can’t be taken by Duress. What is the biggest mistake you see The Epic Storm players make against Grixis Delver? What is the biggest mistake you see Grixis Delver players make against The Epic Storm? Preboard, the biggest mistake a TES player would make is not realizing Burning Wish and Infernal Tutor are discard spells. Just play it, and I’ll counter it. Post-board, TES players may play around Force of Will too much, not realizing that their game equity goes down as time goes on due to Gitaxian Probe + Cabal Therapy and Flusterstorms (although from the TES side, I would just run the WWAJD, as I think AJ is extremely good at navigating situations like this). For Delver players, preboard, I think the biggest mistake is the Delver of Secrets/Deathrite Shaman thing (answer 1) and how to sequence cantrips based on what the TES player is doing (answer 2). Post-board, it is likely having Lightning Bolts in their deck and not boarding in Baleful Strix if it is in their board. You need more blue cards for Force of Will (as all of your cards are counters or cantrips), you need more things to facilitate Cabal Therapy, and it's just another cantrip at the worst. However, I think I might be losing personal equity in this matchup as both AJ and I have seen tons of Delver players leave in Lightning Bolts, forcing the TES player to go off a turn sooner than normal sometimes. They don’t matter much. I’ve seen more games lost due to understanding that the TES player doesn’t have access to enough colored mana if I counter a ritual than Wastelanding the TES player out of the game. Obviously, the Delver player can Wasteland the TES player out of the game and make the soft counters a lot better, but more often than not, I think basic lands are a trap. When you need Blue for cantrips, Black for discard and Dark Rituals, and Red for Burning Wish/Rite of Flames, you need to embrace the dual lands. Enticing a Delver player to use their Wastelands also can make Young Pyromancer harder to cast and take advantage of earlier. It is hard, on the Delver side, to play Young Pyromancer with no mana up. I would rather wait for turn 3 (developing a second 1 drop), then Wasteland on turn 4. But at that point, does your basic land matter? Basics only matter if Gitaxian Probe/Cabal Therapy tells the Delver player that they should Wasteland you. In general, how aggressively are you trying to hold your counterspells for Tutors/Ad Nauseam versus using them aggressively on mana sources? What are the different contexts that might impact this decision? This is the toughest question that has been asked and where I believe most of the skill in this matchup comes from. As the TES player, use the information of Gitaxian Probes and Cabal Therapys against them. Imagine a game where on the play, the TES player Island, Ponder, keep it, go. The Delver player Gitaxian Probes and sees: Dark Ritual, Duress, Lion's Eye Diamond, Lotus Petal, Fetchland, Fetchland. The Delver player plays Ponder and keeps. The TES player now, for just this turn, has a split card in their hand. If the turn starts with Fetch Underground Sea, Dark Ritual, I think the Delver player is highly incentivized to Force of Will it due to risk of losing on the spot. There are probably better examples, but that’s what I would be most cognizant of from the TES side. Figure out after you get Gitaxian Probed how you can use your cards in a way that forces them to counter what you want them to given the information they are working with. A Sukenik-ism from back in the day is that against most players in the Faeries mirror, when they Thoughtseize me, they also drop their hand on the table with mannerisms/facial expressions, what cards their eyes draw towards, and ultimately, what they take. This skill can be utilized very well in TES. I would talk to my opponent throughout the Gitaxian Probe to extract as much information as possible about the Delver player’s hand. There is nothing for you to lose; you already have your hand revealed. Otherwise, if I don’t think I am going to lose the game as the Delver player, I am saving my counters for the non Empty the Warrens pay-offs, or whatever I think will help me cut off Empty the Warrens this turn (which is the major reason for countering Dark Ritual in my example). 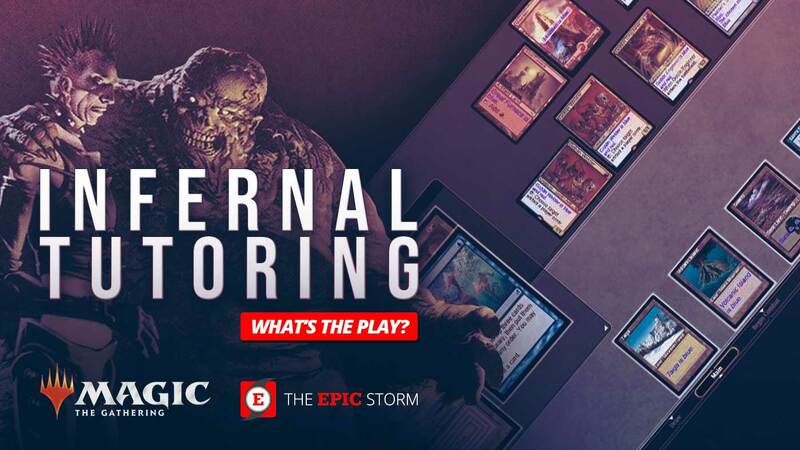 How do you think The Epic Storm matchup for Grixis Delver compares to other combo decks such as Ad Nauseam Tendrils or Sneak and Show? I think the storm variant that plays the most Empty the Warrens is the worst storm matchup for Delver, which I suppose is TES right now. I think Sneak and Show is actively a good matchup for Delver. Belcher is a good matchup for Delver unless they have a good Empty the Warrens hand. Oops All Spells is a good matchup for Delver. Tin Fins and Reanimator are worse than TES against Delver if the Delver player has an early Deathrite Shaman; otherwise, I think they have a better matchup against Delver than TES. TES is probably towards the top of good combo variants against Grixis Delver. Moreover, if you are AJ or Bryant, I think the amount of edge you gain in understanding how to use your bait spells and proceed confidently would make TES the best combo deck against Grixis Delver. If you want to change your deck to beat Delver, main deck more Empty the Warrens. I believe any amount of basics more than 1 is a trap. Keep in mind that your rituals are spells that must be countered in some scenarios. Be confident. Unfortunately, most Delver players will leave in an amount of Lightning Bolts in their deck, so you should respect it. In the dark, listen to AJ. He did not pay me to say this. A sincere thanks to Jonathan Sukenik, as his thoughts on Grixis Delver definitely provided me with a new perspective on the matchup. If you have any questions at all, don't hesitate to reach out in the comment section, and I'd be happy to answer them, or ask Jonathan to provide some more feedback as well.